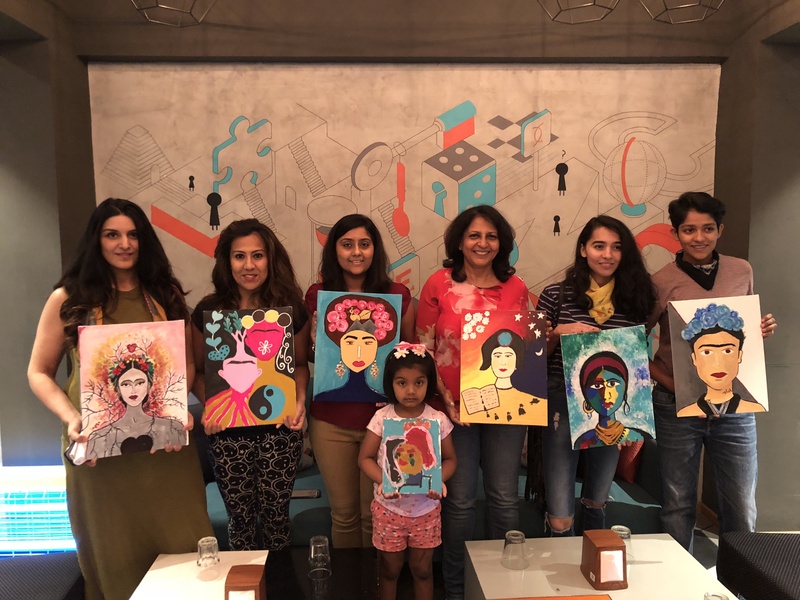 Today, we have Basuri Choksi – an Interior Designer-turned-Artist who shares her journey with the Roots and Leisure from Ahmedabad on how she breathes life on any canvas that is given to her. 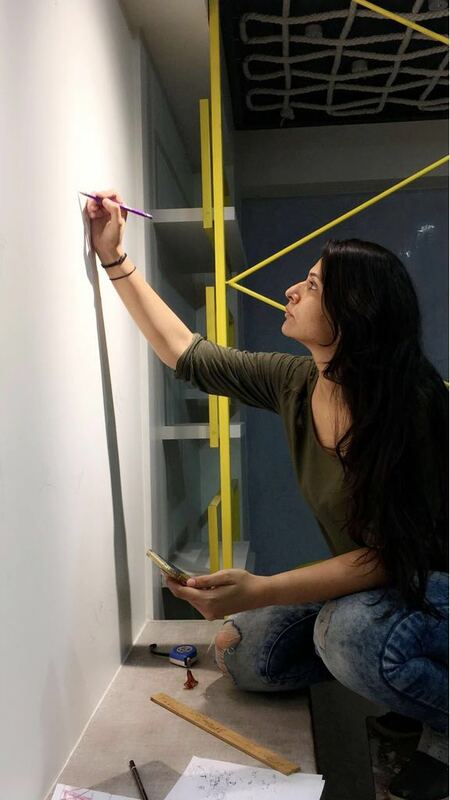 Here’s a quick conversation with the lady behind the artworks who is not afraid to play with different types of shades delivering notable effects. Hello, Basuri! Would you like to tell a bit about yourself, where you’re from and what you’ve been up to? I’m an Interior Designer-turned-Artist. Since childhood, I have always been inclined towards art but only figured my true calling for it in 2012 while I was practicing interiors. Within a year, I was sure I don’t want to do anything but paint! Since then, I have been painting and learning new techniques on my own. I work with acrylics on canvas, wood and other surfaces. I also do murals. The freedom of expression that a blank canvas gives to an artist, got me started. It also has been a deep journey within since then. Whatever I could think or imagine, I could bring that to life and communicate with my viewers, is the spark that pushed me into this field of art. What do you do full-time? If part time, how do you manage to indulge in your hobby? I work on commissions with Interior Designers and Architects on their projects. 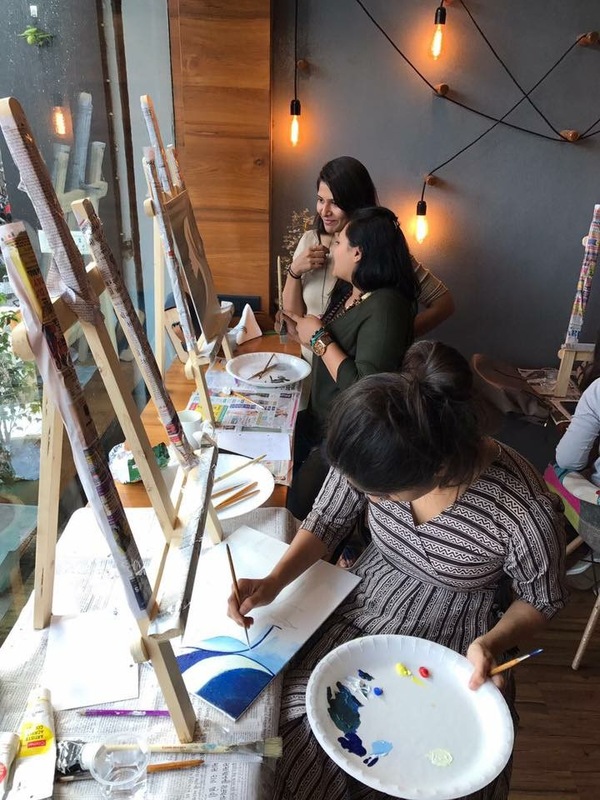 I’m also the Founder of Paint Thy Art – an initiative to conduct art workshops once or twice a month to inspire people with art and uncork their inner creativity. 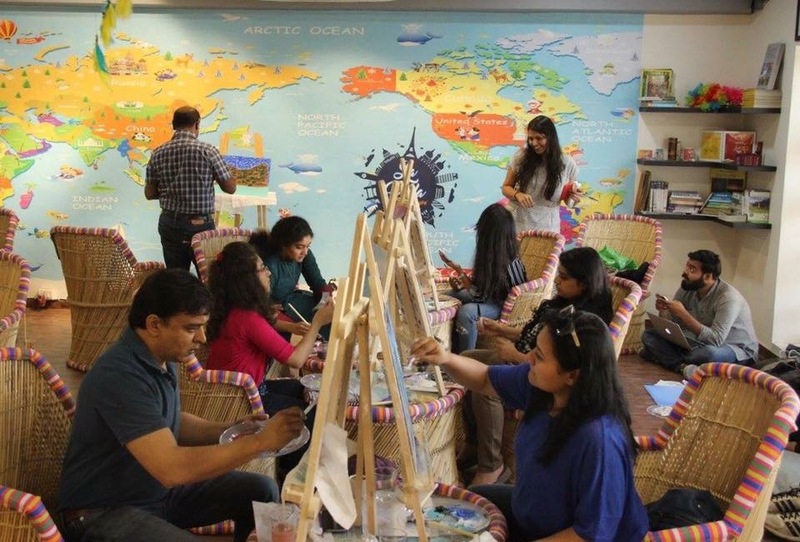 Each workshop is conceptualized with an aim to create a joyful experience where people can de-stress and learn more about creative expression. I have conducted workshops in Ahmedabad, Coimbatore and Bangalore until now. Bombay & Pune is next on the list. What’s your work philosophy – where do you take inspiration from? 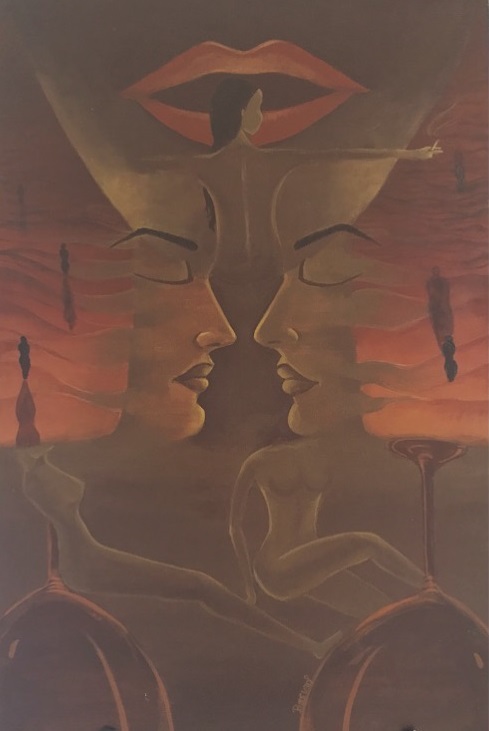 My work philosophy – each painting I create is with an intention to serve it as “a portal of transformation”. Here by the word ‘transformation’, I mean to look at the world, people, and emotions with different angles. What do you hope people take away from your artwork? 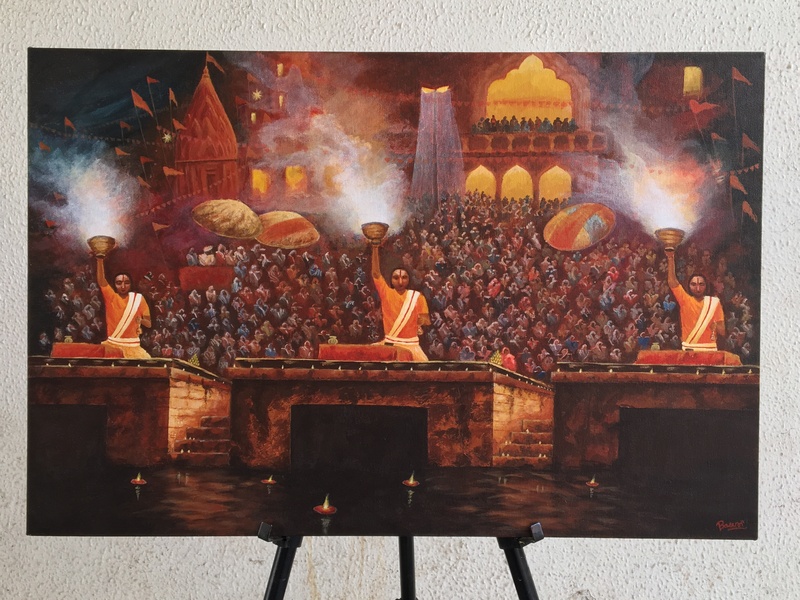 People will see the visual stories – a message and their own version of interpretation in my artwork. Can you single out an item from your work which you are particularly proud of? 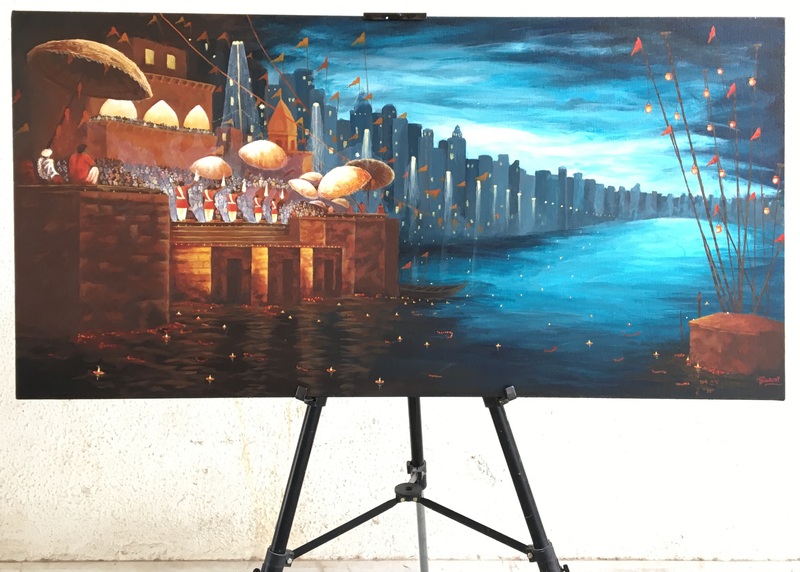 I created this painting during my initial months when I had just started painting. It is one of my favorite compositions till date. 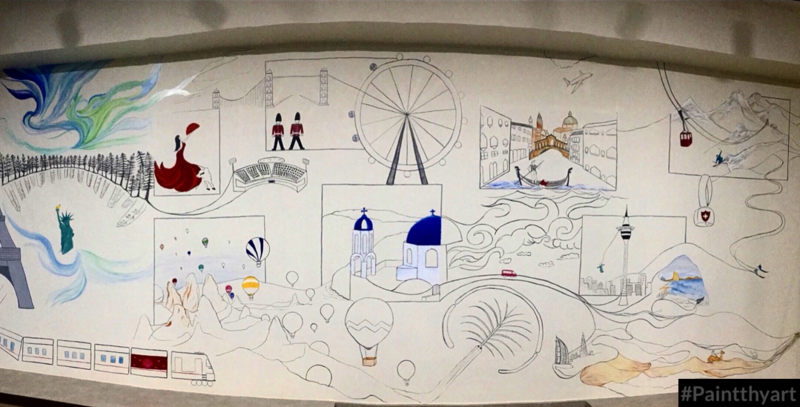 I recently finished a mural project. It was on a huge 10 feet x 5 feet wall of a travel agency’s office.